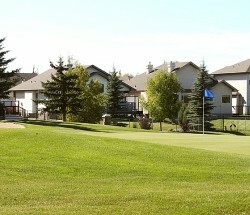 Breckenridge Greens is located in west Edmonton within the Lewis Farms plan area. 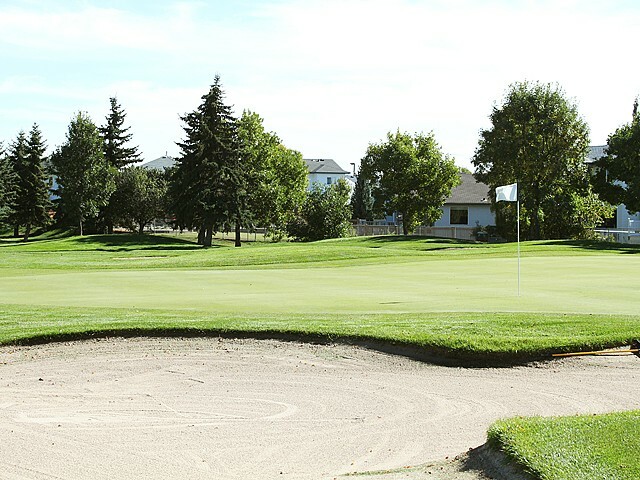 The topography in Breckenridge Greens features an attractive rolling terrain, portions of which were cultivated agriculturally prior to urban development. 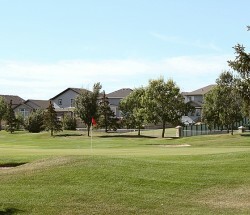 A golf course runs through parts of the neighbourhood; the eighth fairway of the course was placed next to Lewis Estates Boulevard to provide a buffer between the roadway to the east and residences to the west. A pipeline right-of-way also runs east to west through the neighbourhood and has been developed to provide a linear open space through the heart of the community. 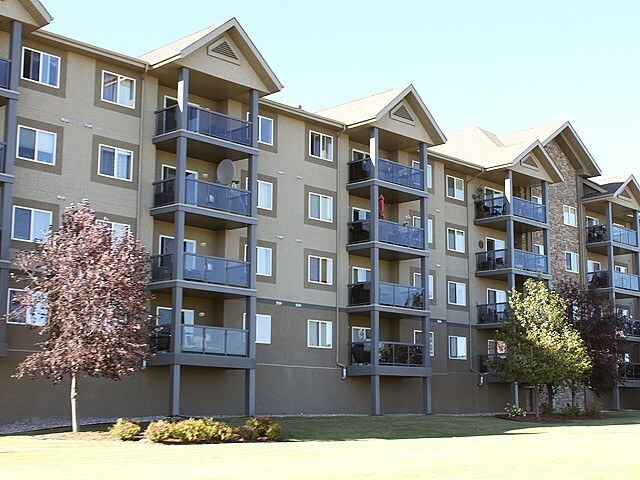 Residential development was planned in three clusters, which are defined by the golf course fairways, and the neighbourhood provides a blend of low and medium density housing types (70 percent single-family homes and 30 percent low-rise apartments). 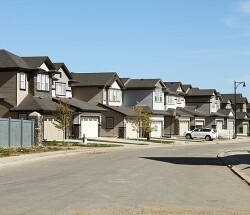 The neighbourhood is bounded by 87th Avenue to the north, Lewis Estates Boulevard (207th Street) to the east, Whitemud Drive (79th Avenue) to the south, and Winterburn Road (215th Street) to the west. 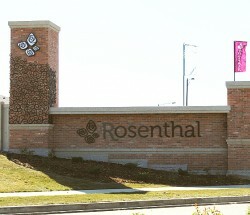 Local residential roads are designed as loops and cul-de-sacs, and pedestrian circulation was designed to be accommodated on sidewalks spanning the local internal road network. 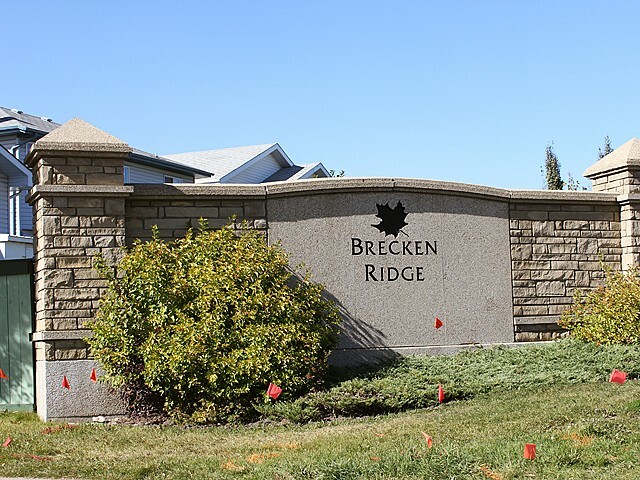 The neighbourhood was named after Gavin Breckenridge (1870-1946), a pioneer who arrived in Edmonton in 1898 and began his career in the city working in a coal mine. Noticing Edmonton’s growth and the urgent need for milk at that time, he started Edmonton’s first dairy farm.